A great event to be apart of on St. Patrick’s Day this year! The first Annual Stpatricksdayphilly.com Bar Crawl through Old City. How to signup is easy; buy a ticket at Stpatricksdayphilly.com, show up anytime at one of the registration locations (The Gaslight, others will be announced soon), and partake in great specials, giveaways and more. There will be a T-Shirt giveaway for the first 200 people through the door and plenty of green swag to make all the brunettes a ginger for the day. 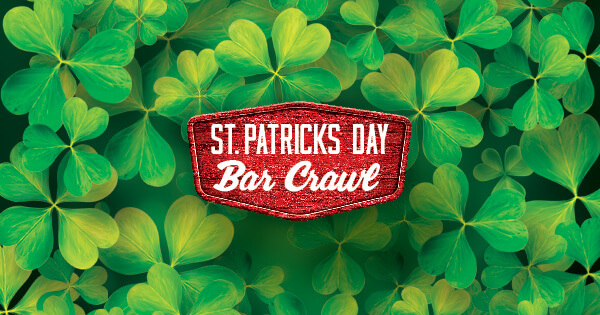 Get out of work or class early or take off the day and join in the St. Patrick’s Day Philly Official Bar Crawl! The Gaslight, JJ Bootleggers, Common Wealth, Lucha Cartel, Las Vegas Lounge and more!